David Karchere is the Spiritual Director for Sunrise Ranch and the global spiritual network of Emissaries of Divine Light. He offers seminars and coaching in spiritual awakening and transformation in many locations around the world. He is also a songwriter and poet, and a speaker and writer on the profound change that is occurring in human consciousness today. 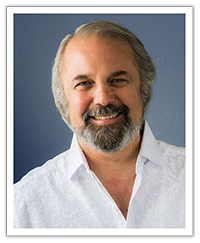 David is Faculty for Change: Navigating Life Transitions, Life Destiny Immersion, Practical Spirituality, Healing Chant, Full Self Emergence, Imaginative Journaling, The Deepening, From a High Place, Leadership, and Attunement. 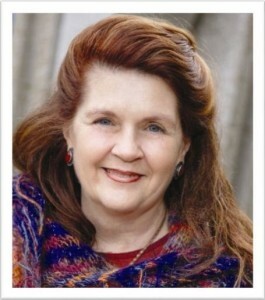 Dr. Jane Anetrini is a Trustee and minister of Emissaries of Divine Light. She offers teaching and coaching for the Full Self Emergence work-study program at Sunrise Ranch and for people and other groups around the world. Through this work, she assists people in finding their own inner wisdom and strength, and their own deepest heart. Jane has been practicing chiropractic for nearly 30 years. As a health practitioner, she works with people to remove the blockages to life’s healing current. Jane is Faculty for Life Destiny Immersion, Practical Spirituality, Full Self Emergence, The Deepening, From a High Place, Leadership, and Attunement. 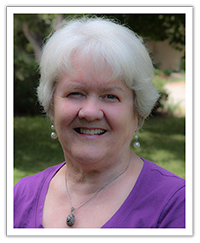 Maureen Waller is a Trustee and minister of Emissaries of Divine Light. She has served as a faculty member for several of the core classes for the Emissary program. Maureen has had a variety of “careers” but one constant calling—to assist people to come home to themselves in a deeper and deeper way, and by doing so become a beacon for their world. Maureen is Faculty for Practical Spirituality, Full Self Emergence, The Deepening, and Leadership. Phil Richardson is one of seven Trustees of Emissaries of Divine Light and provides leadership and spiritual education internationally. With his wife, Ruth Buckingham, he coordinates Emissary activities in South Africa and the UK, spending time there and in the USA assisting people to a greater awareness of their true potential. His more than 35 years of commitment to his spiritual path and the training he has undergone in Spiritual Education, Attunement and Emotional Work has equipped him well as a mentor, facilitator and teacher. His down-to-earth practical approach to life enables him to assist people to discover and expand their spirituality within their everyday lives. 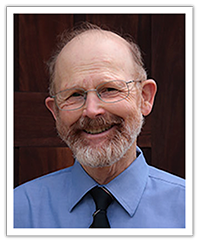 Phil is Faculty for Practical Spirituality, The Deepening, and Leadership. Ruth Buckingham originally trained in the theater and has been on a spiritual path for over 30 years, during which time life has brought her many interesting and varied experiences. She has initiated and been part of several intentional spiritual communities, traveled widely through Asia and Africa, lived in the bush with no electricity and no running water for a year, run a health and wholeness practice for over 10 years, and taught and designed many workshops. Her passions include public speaking, teaching and facilitating, and a love of history. Cats are important in her life too! Ruth is a Trustee for Emissaries of Divine Light and, with her husband Phil Richardson, currently coordinates Emissary activities in South Africa and the UK. 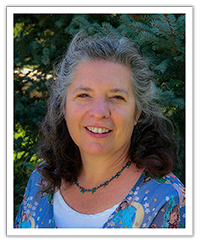 Ruth is Faculty for Practical Spirituality, The Deepening, Leadership, and Attunement. 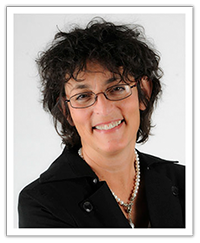 Andrea Isaacs has been on the cutting edge in the field of emotional intelligence since the early 1990s when she created EnneaMotion, an experiential approach to transforming “bad-feeling” feelings to “good-feeling” feelings. She has been interviewed on Oprah Radio, and her ongoing radio show gives her the opportunity to interview people in the field of psychology, spirituality, consciousness and well-being. Since 1994, she has been traveling the world teaching and coaching, and has made a significant impact on the lives of thousands of people. 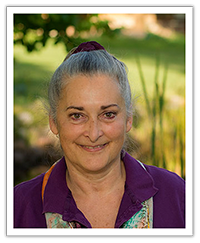 A master teacher and powerful coach, her students call her a “spiritual teacher extraordinaire.” She lives and works at Sunrise Ranch, a spiritual community in the foothills of the Colorado Rocky Mountains. Andrea is Faculty for Change: Navigating Life Transitions, Life Destiny Immersion, and Imaginative Journaling. 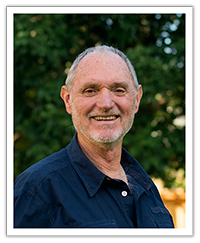 Hugh Duff, one of the seven Emissaries of Divine Light Trustees, is a dowser and attunement practitioner. He is a teacher of Attunement Practitioner Certification classes and Right Use of Power workshops. He leads Transformation Groups, small circles of people who create supportive environments for personal life changes. As Regional Director with Emissaries of Divine Light, British Columbia, he offers spiritual guidance to people in their life journey. Hugh’s home base is Edenvale, a thriving spiritual center and conference and retreat center in Abbotsford, British Columbia. Hugh is Faculty for Attunement. 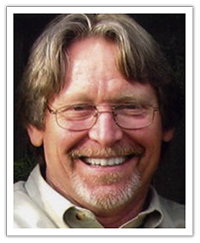 Cliff Barry designed the Shadow Work® process and founded Shadow Work® Seminars. As a minister, Cliff studied the science of symbols and sacred mythology for 12 years. He has applied this unique approach to the workshops he has led for over 15 years across the U.S. and Canada. Cliff coaches executives in top business positions and has worked with clients such as the Dialogue Project at MIT, the Young Presidents’ Organization, the Republican Caucus of the Wisconsin State Senate, and Agilent Technologies. Also a founder of the Inner King Training, Cliff is known for his profoundly respectful approach to each person’s sense of safety when facing deeply personal matters. Daniel Gutierrez travels the world extensively for speaking engagements to Fortune 500 companies and individuals alike, inspiring them to stay focused and achieve their dreams. 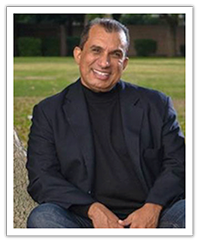 Mr. Gutierrez has been acknowledged as Latin Business Magazine‘s “Top 100 Hispanics.” He was interviewed for a new movie/documentary film, Luminous WorldViews, as one of the 18 world-renowned scientists and world thought leaders in the area of transformation. In January 2010, he was inducted as the President of the prestigious national organization PRIMER, based in New York City, and currently advises the Department of White House Personnel for the Obama Administration.